Your project page is the ultimate marketing tool to selling your project so make sure you take the time to fill in each section carefully. Choose a project title that is short, simple and distinctive so that someone reading it will be able to understand quickly what your project is all about. Keep your url as short as possible as you’ll be using it to direct people to your page in all your communications materials. A picture says a thousand words so make sure you have great visuals to capture the impact your project is going to make. This section also allows you to display your own video (follow our video guidelines later on in this chapter!). This project summary needs to capture your project idea in just a line or two. This is your elevator pitch so make sure you tell people who, what, when, where, why and how your project will be delivered. It could be argued that this is the most important section; if someone has read on this far they’re considering pledging so make it easy for them to be convinced by listing every reason why your project would have a positive impact for them and the local area. You are selling your community something, and this is your business proposal. Top tip: Break your pitch into distinct paragraphs to make it easier for people to read and understand. 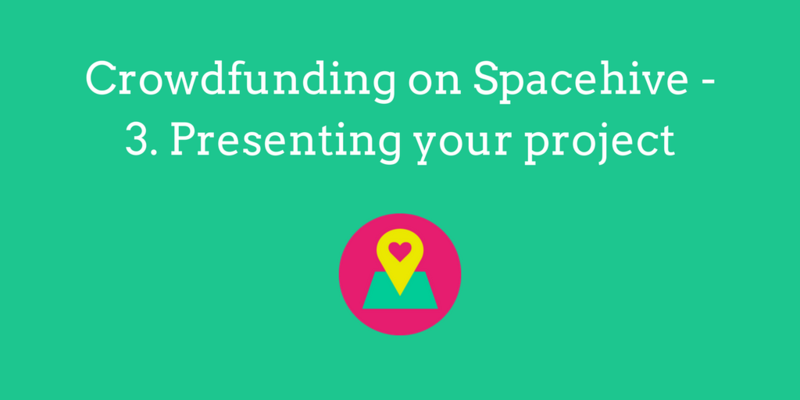 Outline the five key activities that need funding to make the project happen. Keep your points short and use different action words to demonstrate the project plan (e.g. transform, pioneer, engage). Think about your target groups and why they would want the project; the broader you can make your audience the better! (e.g. 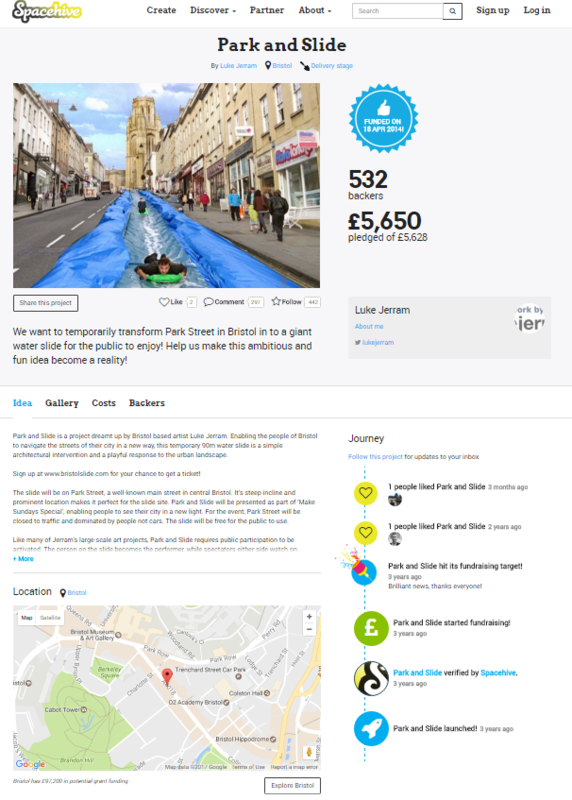 children and their parents, local businesses, the council, senior citizens, grant bodies) You can also use this space to highlight the support you have to date, such as petitions, Facebook groups, grants etc. Outline a chronological list of your key project milestones, the actions you will complete to deliver the project, so as to give potential backers confidence that you are organised and well-researched, and therefore trustworthy to deliver the plan. Accompany your description with bright and colourful images so people will get a sense of what the project is about. Use current images of the space, and if possible include drawings or impressions of what the space will look like once you deliver the project; help them visualise what they’re backing.